JDC - Archives : Portrait of a young resident of the Foehrenwald DP Camp. Search > Search Results > Portrait of a young resident of the Foehrenwald DP Camp. Title Portrait of a young resident of the Foehrenwald DP Camp. 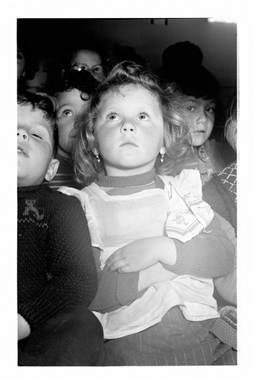 Description Young children in the last Jewish DP camp in Germany. JDC worked to empty all the DP Camps, but the majority of those left behind are chiefly TB or post TB patients and their families, unable to leave the camp for a land of their choosing because of their illness.